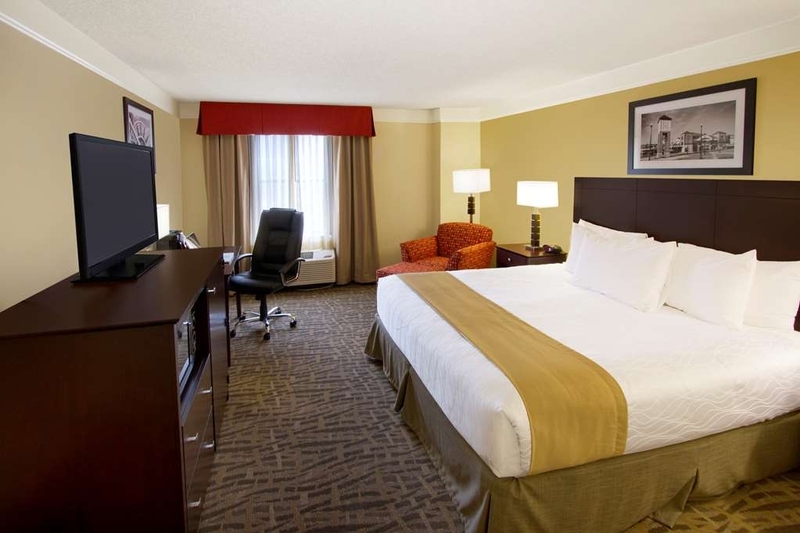 The Best Western Plus Peoria is ideally located in the center of East Peoria. Come and experience our hotel near the major tourist attractions. Best price guaranteed and exclusive deals. The Eastside Centre in East Peoria is just minutes away from this expansive hotel, and just one of the many reasons guests choose this Best Western property. 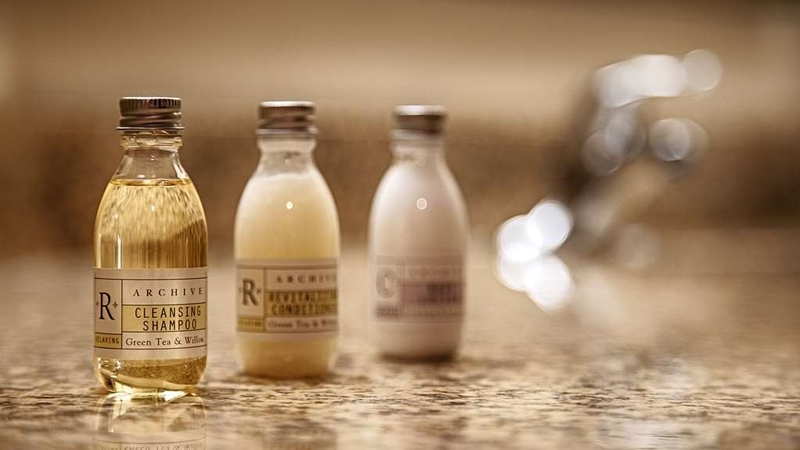 When staying at an East Peoria hotel, guests deserve convenience. For those traveling for business with Caterpillar, headquarters is only a few miles away. Bradley University is also in the area, and this hotel caters to students, staff, professors and their loved ones, whether it's for a special weekend event like graduation or lodging for an entire semester. At the Peoria Civic Center, there's always something exciting happening from tradeshows to concerts. An indoor greenhouse pool is perfect for relaxing, but being located next to downtown Peoria and the Levee District makes exploring a must. Start the day with a free, full hot American breakfast and a dip in the pool to be refreshed and energized for a full itinerary. From the Peoria Riverfront Museum to Dozer Park, there's no end to the discoveries near this East Peoria hotel. Business travelers with IBM, Komatsu, Caterpillar and ADM rely on this property because of the peace and quiet, large rooms and accessibility to all the major corporations and business parks. Easily accessible to the Peoria area, we're the newest hotel in Peoria and the closest hotel to the East Side Center. Knowledgeable staff members are always on hand to provide recommendations for sightseeing, dining and shopping. 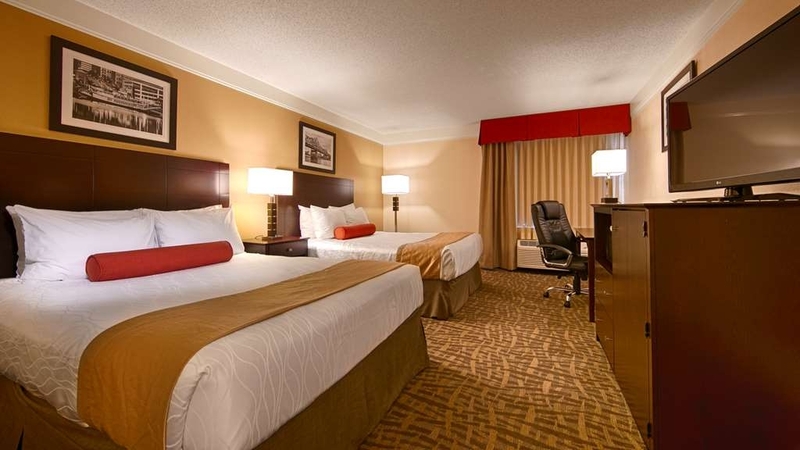 Enjoy a peaceful getaway or stress-free business trip when staying at the right East Peoria hotel. Excellent experience! The staff was extremely helpful and accommodating when checking in and assisting us. It was clean and well-kept. They had a good variety for breakfast and cleaned/replenished the room while we were gone for our business conference. It was nice coming back to a clean room and knowing that we had enough towels, blankets, pillows, etc. We stayed here for the weekend while attending a basketball tournament at ICC. Very close to restaurants, shopping, downtown, etc Staff was always friendly. From Melissa @ the front desk, to the very kind lady that does breakfast every AM. We stayed in a double queen suite w/ kitchenette. I did not use the kitchen area(mostly reserved the room for spacing purposes) but they had pots, pans, silverware. Only thing I would suggest is some liquid detergent for those of us that would prefer to wash ourselves before cooking/eating. Few stains on the carpet but nothing major. I definitely would stay here again! "Friendly staff, comfortable, good complimentary breakfast"
Friendly staff, particularly Josh and Melissa at the front desk. They helped me find transport to the airport at 4am - very customer service oriented. Comfortable, clean room. Complimentary breakfast was better than the usual continental bagels, yogurt, and fruit. I would stay there again. Genuine and warm staff. Awesome location! Great amenities! I wish I would have taken advantage of the pool, because it was super nice! The breakfast was super good and I like that they change their hours on the weekend and holidays- super convenient! We had an excellent experience at this hotel. We were able to use the breakfast area after our long day at the softball dome to unwind and socialize with the other parents. The girls enjoyed the poo and exercise room during their down time. The front desk staff was fast and friendly, got checked in and out quickly & easily. Hot breakfast in the morning was delicious. Room was clean and well-maintained. Lobby was kept clean & free of snow & salt after a snow storm. We are glad you had a great stay. Hope to see you again. The Best Western in East Peoria is truly a rstful oasis at the end of a very busy day. It is a very clean facility with a very good staff. It is conveniently close to the restaurants and stores at the Levy District. "stay at the best western n peoria"
we stayed at the best western in Peoria one night and we had a very nice stay the check in was smooth and the staff all very friendly and helpful. the room was really clean and looked nice. the food for the breakfast all hot and fresh. We have stayed at this motel several times when we visit our daughter who lives in the area. The staff was very helpful and efficient. The breakfast area is kept clean and well stocked. Everything we needed was close by, shopping, restaurants, gas stations, etc. copy machine/computer did not work, front desk #1 did not offer to print out a local map, front desk person #2 did. stairways wee really dirty, full of bugs, mud. #2 front desk was friendly so was person in charge of breakfast which was average but ok. Nice pool but no hot top. Thanks for the review I will look into the troubled areas you mentioned. The room was clean, but woke up to ants in food that was sitting out. They did move me to a new room. then found out another room had them. (my room was on 1st floor) her room was on 3rd. Breakfast was ok. Hotel is in good central location. "Nice room with plenty of space. Breakfast was average"
Cereal that looked like Cheerios wasn't and had sugar on it. It would help if more information on sugar and artificial sweetener. Skim milk was available which is much appreciated. Reception was helpful. At first it was a challenge to locate the motel, as it was somewhat hidden under the overpass. But, then we realized it was very well placed and easy to find restaurants, etc. The room was large and convenient to the lobby. We were allowed to spread out a project using the breakfast area in the evening. The manager even made a batch of fresh-baked cookies for us to enjoy while working! "Ants in the room and the room smelled of smoke"
The non-smoking room smelled of cigarette smoke (very strong). The room had biting ants in it. When I reported it, I was told all the room had ants. The TV/remote in the main room did not work to turn the channels. One of the telephones did not work when trying to contact the front desk to let them know of how the room ripped of smoke and to request another room. Thank you for allowing us the opportunity for improvement. We take all of our reviews serious and have contacted the pest control company as to your ants in the room. As well we are training and developing the staff to ensure that any room that has unfortunately against the hotel policy been smoked in is cleansed properly. We appreciate the time that you took to relay your concerns to us. I have stayed in a number BWP and been very pleased but this one does not compare and I was very disappointed. Stayed here for a week for business and the best part was the staff, all very nice. However; the condition of the room was unsatisfactory - the AC made every sound known to man but failed to cool the room at all, the sink and bathtub drained VERY slowly, luckily no one else had to shower after me or else the tub would have probably overflowed unless they waited for the hour it took for the tub to drain. The toilet handle was broke so had to jiggle it 3-4 different ways for it to flush then stop flushing. Will not be staying here in the future. "Best Western Peoria September 2018"
This is a very clean and quiet hotel. The pool area was nice. There was no hot tub so that was a little disappointing but the pool was really neat with it's glass sides and top. The breakfast was good with eggs, sausage, waffles, cereals, etc. The staff was friendly and helpful. We enjoyed our stay. "Awful experience from beginning to end!" I organize and lead people on group tours all over the world and without a doubt this was the worse experience I've ever had. I was given the wrong rate. I was handed a bunch of key packets with no names on them, no indication of how many beds were in each room, didn't get the number of rooms I had requested upon check-in so that check in was left up to me to figure out/straighten out, had to carry in suitcases for my group because they "didn't have luggage handling" though they told me they did and were charging me $5 per person for this service, they put 4 of our rooms beside a group that was drinking and having a loud bachelorette party, a couple rooms didn't have working ac, one room had dirty socks on the floor of the closet, at least one room had a coffee maker with black stuff growing in the water well, 4 rooms had beds that sank in the middle so you rolled down into a ditch, no iron in the room but did have an ironing board, at least one room had urine stains around the toilet and dirt around the inside edge of the tub, another room had a sink that took forever to drain, one suite had a sitting room with a fan but no ac . . . from beginning to end it was horrid! They needto change management and without a double, take away the PLUS status. When I asked for a name/phone number of a manager (areas e, regional, corporate), the front desk knew of no one that could be contacted. I still had to pay the high rates despite the fact that our group did not receive the service or quality that I contacted. I highly recommend that you avoid this hotel!!! "Mom and Daughter traveling through from MD to IA"
We wanted a place that would not take us off our route, wanted to be close to I-74. Positive - It is very convenient.. Neg - 1-74 is practically outside the window. At first I thought the traffic noise would keep me awake but it did Not! !, so the convenience factor wins out.. Also, there is a very big shopping area right across the street with many stores and restaurants. We got in pretty late and were still able to run over to Target and to get a bite to eat. Very friendly staff. Comfortable beds. We got a 2-room suite because it was very close in price to a regular room, with all of our BW Rewards points, and it was delightful. "Overnight stay on way home from Sturgis, SD"
Everything was good, even let us park our motorcycles up in corners beside the front doors.Had a slow drain in shower and A/C must have been leaking some due to wet carpet in front of unit in the room. We are still staying at this property until Sunday. There is definitely some updating that needs to be done (hallway carpeting, bathrooms), but the rate is right. The continental breakfast is decent, and the staff is friendly. The location is very good, also. Special thank you to Lucia. She is extremely friendly and very customer service oriented! Thank you, Lucia for your outstanding service and smile! "Perfect Pit Stop for a Road Trip"
Peoria was the midpoint of our road trip, so the Best Western Plus was the perfect place to stop with the kids and the dog. The hotel isn't fancy, but it's clean, comfortable, and convenient. Plenty of restaurants nearby for dinner, and a hot breakfast on site in the morning. We need to give Kala at the front desk a special shout out for all her help situating rooms and other arrangements. We'll definitely be stopping again the next time we make this trip. We needed a place to escape to. Busy hectic life had us going in circles and we just needed a weekend getaway. Chose because of the pool, price and close proximity to Riverfront Market and restaurants not yet visited. Would not advise using their shuttle service. We found it to be very unreliable and not timely. Our room was on the first floor and desperately needs to be updated. Beds were not comfortable. There was also a musty smell in the room and hallway. Hotel staff was friendly and breakfast was good but next time we will stay elsewhere. I really enjoyed my stay here. I used the fitness center and pool almost every night. In the mornings, the breakfast was wonderful with varieties to choose from. My room was clean when I arrived and I had no issues at check in. Good Afternoon Matt, I wanted to personally thank you for responding to our survey as well as the very nice rating and comments we received. 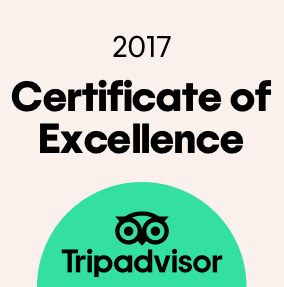 I assure you we as a staff strive to exceed our guest expectations and it is such a pleasure to know we have done just that. The hotel and room seemed average but when I found the bathroom sink would not drain I reported it to the front desk attendant. Although he said someone would fix the problem no one showed up my entire stay. I will definitely not stay here again. Thank you for responding to our survey. I would sincerely like to apologie for the issues you had during your stay. I can assure you I will be bringing this to the attention of the appropriate staff members. I appreciate you bringing this to my attention. I do hope you choose to try us again. I would love to show you the superior guest service we are known for. Once again my sincerest apology's. "Will not stay again and will not recommend to anyone!!" Check-in was quick and the desk clerk was friendly. Lobby appeared pretty nice. That is where it all ended. The room at first glance was a little rough but didn't seem too bad. Until you actually walked in and took a closer look. There were patches in several places on the walls where repairs had tried to be made, but then it was never repainted. Big stains on the carpet. Black ants all over the room. We had another family from our group down the hall and they had ants in their room also. Black mold on the bathroom wall and shower head. The shower head was just disgusting. The shower curtain was dirty too. The beds were horribly uncomfortable, however I understand that is based on personal preference. We were only provided with 3 bath towels, even though the room is made for 4 people and we had 4 people in our party. When we called to ask for an additional towel, we were told that they had a full house the night before and they had towels in the laundry so they may not have any available. First of all, why would you only provide 3 towels for a room that sleeps 4? Second, are you telling me you don't keep ANY extra towels on hand?? We did end up getting the extra towel, but it should have never been an issue to start with! We tried to take the kids down to the pool for awhile but ended up finding out that area was full of ants also! The shoes, towels and clothes we had sitting on the seats had ants crawling all over them. When it came time to check out, the clerk at the desk was not friendly at all. We were never even asked how our stay was. So I started to explain our complaints and I was never even offered an apology, let alone any kind of compensation. All I was told is that they are aware of the ant problem and not sure if it's because of the location of the hotel or if it's a seasonal issue. So I then said that if it's an ongoing issue they need to have an exterminator come out on a regular basis!! If you can't get a handle on an ant problem, it makes me wonder what other bugs you may have issues with!? All of this is not only a cleanliness issue, but also a health issue. Bugs AND mold!!! Again, I was never even offered as much as an apology. I most definitely will not return and will never recommend it to anyone. Good afternoon Jenny, I would sincerely like to offer my apologies for all of the issues you encountered during your stay with us. I assure you that after reading your response I had a very long meeting with my housekeepers and maintenance staff. I will also be having a meeting with my front desk staff to resolve all of the issues mentioned above. I completely understand your concerns with the ants, yet I honestly don't know how to explain this. I have had Orkin and my maintenance crew spraying and spraying and for whatever reason they just keep coming we are doing our best to get a handle on this situation. Once again I hope you except my apology, and I would love the opportunity to make this up to you. If given the chance. Stayed there for 5 nights the first 2 nights were fine. It all went down hill after that. Woke up on our 3rd day with no hot water. Come to find out there was a problem with the water heater and then they had to shut the water off (which means no toilets) I ended up taking a sponge bath with water heated up from the coffee pot. Our air conditioner in our room went out as well. The last 2 nights we stayed there was a large group of adults in the lobby drinking all hours of the night and their kids were able to run around the halls screaming and yelling all in front of the night clerk without them doing anything to quiet them down (Our room was right off the lobby). When we asked for compensation for lack of hot water & the lack of sleep the last 2 evenings we were told they can't do anything for us. I would sincerely like to apologize for the issues you encountered during your stay. I assure you this is a rare incident and not the high standards that we are known for. I assure you all of your issues were taken seriously. We did indeed have a hotel full of sports teams in which my front desk agent was doing his best to try to keep the noise level down without success. We did have 2 water heaters go down on the same day and it took numerous phone calls to find a plumbing company that could come out and repair them immediately. I apologize that they did have to temporarily shut the water off to the entire hotel but that was the only way to repair them. I also had our exterminators out to treat the hotel. I believe all of the rain we were receiving is what was bringing the ants inside. I would love the opportunity to make this up to you, and provide you with the superior guest service we are known for. "NOISY and poor housekeeping "
Stayed here three nights for a convention at the Civic Center. Check-in was ok and rooms are large with nice amenities. However, evenings were very noisy with children running the hallways and yelling until after midnight and other guests talking loudly in the hallway as well. Got very poor and disrupted sleep 2 of the 3 nights because of all the noise. Additionally, housekeeping was sloppy. Other than making the bed and emptying garbage cans, little was done after the first night. Bathroom amenities were not replaced and only a few towels were replaced. The carpeting was never vacuumed either. Breakfast was ok. The waffle makers were not turned on which created a huge mess for another guest one morning who assumed that a half hour into the breakfast time that it had been turned on and was functioning. I would not stay here again. "On our way to Florida"
We booked this motel a week or so ahead of time with the intent of checking out a local casino. We arrived early, around noon, and had doubts that we would be able to check in, but Amber, the front desk women, said no problem, our room wasn't ready, but she switched us to a room that was, and we were able to check in! Very nice king size bed room, with fridge and microwave. Our only issue with the room was the Heat/AC unit. We like to keep our room cool at night, and we're unable to set temp below 65, so we had to open a window, which exposed us to the nearby traffic noise. Not a big deal. We made use of their complimentary shuttle service, and the van and driver were made available and ready immediately, of course Amber set that up for us as well! We were surprised at soup being available early evening in the lobby! A chicken dumpling or vegetable barley, and crackers! We tried both, and were fantastic! Oh, I forgot to mention the nice soft chocolate chip cookies that were available too! The morning breakfast was excellent as well! We enjoyed our stay, and a big shout out to Amber for her kind treatment of us! I wanted to take this opportunity to Thank You for the very nice rating and even nicer comment. We as a staff strive to exceed our guest expectations and it is always such a pleasure to know we have done just that. I hope you enjoy Florida as much as I do. We hope to see you again in the near future. We ended up needing to spend the night unexpectedly due to the weather. We didn't show up until close to midnight but the night manager, Amber I believe, was super nice and attentive and surprisingly bubbly considering the hour. Our suite had the best shower we've ever had in a hotel, amazing water pressure! The breakfast was great, we even commented that there was bacon, which you rarely see at a continental breakfast. This hotel will definitely be our first pick whenever we're back in the area! Thank you for completing the survey regarding your recent stay at our property. I must say I was quite taken back seeing your survey. I assure you I take this very seriously. I will have our professionals in first thing in the morning to do a full inspection of that room. I want you to know we do strive to exceed our guest expectations and we failed you which I sincerely apologize. "I never recomend beyond the usual motel review but"
This is one of the nicest BW's I've stayed at. We like BW's nonetheless some are much better than others. This is one of the really good ones. Of course, the comfort of the bed in any motel comes first, and of course the bed was very comfortable. The second item on the list for me is the shower, and this one was better than the one I have at home—whoa—by about three notches; a strong steady cleansing rush of water—refreshing! However, it's the little things that set a hotel apart, and in little things this hotel shines; a thoughtful staff, a clean and very clean establishment, and a decent cup of coffee (not the cheap and tasteless stuff) in your room. Over all I would give this hotel—and I use the word “hotel” rather than motel deliberately—FIVE STARS! I wanted to take this opportunity to personally thank you for such a nice response. We as a staff do strive to exceed our guest expectations and I must say it is such a pleasure to know we have done just that. We hope to see you again in the near future. I wanted to thank you for taking time out of your busy schedule to respond to our survey. We as a staff do strive to exceed our guest expectations and it is always such a pleasure to know we have done just that. We hope to see you again in the near future. It was a very quiet location, although all shopping and/or restaurants were nearby. The rooms were quiet and the water was hot. Breakfast was surprisingly nice! We had three rooms for family members to attend a funeral. We were close to each other. It was quiet enough for the baby to sleep - something that doesn't always happen. I wanted to take this opportunity to thank you for taking the time to respond to our survey. I am so pleased you and your family enjoyed your stay with us even though you were here for such a sad reason. We hope to see you again in the near future under much better circumstances. I am a traveling nurse working night shift. I was able to sleep with minimal disturbance during the day. They allowed for a late check out as well. The room was large and clean. The bed was comfortable. The staff at the front desk were very welcoming. I would personally like to thank you for your very nice response. I am so glad we were able to accommodate all of your needs. We do strive to exceed our guest expectations and it is always a pleasure to know when we have done just that. We look forward to seeing you again in the future. When we walked into the room it smelled horribly of smoke. The windows were open so someone obviously knew it smelled. Our bathroom had mold all over the walls & looked like it hadn't been cleaned. We were moved to a second room which seemed to be better until we went to get in the beds. BOTH beds had long & short black hairs all over the sheets. So disgusting!! The main reason we chose this hotel was bc of the indoor pool. But the heater wasn't working & the pool was ice cold. My kids were very disappointed! This should have been posted on the website or made known to us prior to booking. I will never stay here again & wouldn't recommend this hotel to anyone. I would sincerely like to apologize for all of the issues you encountered during your stay. I assure you that all of the issues you mentioned has been brought to the attention of the appropriate staff members. Thank you for bringing it to my attention as well. I would love the opportunity of having you as our guest again so we can show you a great guest experience we strive to deliver. Once again my deepest apology's. This was a nice enough hotel. Kind of out of the way but still close to shopping and downtown. The front desk person was very nice. He seemed to really enjoy his job. I will be visiting Peoria at least once a month and might stay here if there was a good deal on the price. I would like to thank you for responding to our survey. I can assure you we strive to exceed our guest expectations. We look forward to seeing you again in the future. "Best value for the area"
Over all the hotel was pleasant. Hallway carpets need cleaning or replacement. We had no problem checking in early, which was very much appreciated. The fitness center did not have water both days which wasn't a problem as long as the pool was open. "Good location for getting around"
The staff was outstanding and friendly. The location was good for convenience. The rooms were just average and did show some wear and tear. Very small closet. Dings and scratches. TV was nice. Beds comfortable. Breakfast was well done. We were a family of 6 staying at the Best Western in Peoria. We went for business and to visit with family. Perfect spot, served breakfast, nice pool and very friendly staff. Needed to use their washer and dryer, 75 cents each, quick and no lines or waiting. There are business around to shop at and easy access on to the freeway. It is across from downtown but not far. We were on the 4th floor, heard no sounds from the freeway at all. Super place that was very clean with a delicious breakfast of good quality food. All personnel were very friendly and helpful with a list of restaurants nearby. It was also convenient to the interstate. This is an excellent place to stay! From check-in to check out. The front desk staff is awesome. The breakfast is amazing! Something different everyday and stocked very well never ran out of stuff. Room and bed nice shower pressure amazing!! We will be returning here when in town! I travel quite often for work & either stay with IHG or Best Western. If i had to pick a favorite, then Best Western wins hands down. The staff is super friendly and alwsys in a good mood. I can't say the same for IHG properties. This BW+ stands out because it had such a great shower. I really like a strong shower, not the type that trickles down like a gentle spring rain. The room itself was quite nice. As with most motels today, the staff was excellent. The only problem, as we saw it, was there was too much light, for us a common problem in most motels and hotels. We stayed 2 nights...Friday night was amazing ...Saturday night in a different room...The type of room was awesome. The room Saturday night the carpet felt wet and the room smelled of mold. The hotel itself was very good. The staff on the morning shift both nights at the front desk was terrible. He acted like we were bothering him to check out. The computer wasn't working so we were promised an email receipt which we still have not received. I still would recommend this hotel. Overall it was awesome. We just happened to get a bad room the second night we stayed there. "comfortable stay with our two dogs"
We were in the Peoria area this past weekend and needed to stay at a pet-friendly hotel for Saturday night. After researching, we found out that Best Westerns are pet-friendly and allow more than one dog in a room. We have our 12yo black Labrador retriever and our rescue puppy. Both of our dogs are well-behaved, house trained and do not bark (lucky us) so it makes staying in a hotel a breeze. The Best Western Plus was THE. BEST. HOTEL. STAY. for our Saturday night in Peoria. Friendly greeting, comfortable amenities for us (clean room) and our dogs (grassy area for bathroom needs). The rooms have plenty of space and were extremely clean and comfortable. The complimentary breakfast and coffee service in the lobby was top-notch - they even offer fresh-made waffles and hazelnut creamer for the coffee! Great location to shopping in East Peoria and downtown Peoria. We will stay here next time we are in the area and our pups will be coming too! Rooms were clean, staff was friendly and breakfast was great! The beds were very comfortable and pillows felt brand new. Would definitely stay here again the next time I am in there area. Staff went above and beyond for anything I requested. Hotel was dirty and noisy. The room, hall and stairwell smelled like mold. We had ants in our room and we had bogus charges after check out. This facility is even below Best Western quality. The manager was not helpful in resolving the bogus charges. The hotel overall is not kept up well. Greetings from the Best Western Plus in East Peoria! Thank you so much for staying with us and taking the time to fill out one of our surveys! After reviewing the survey, it appears that we fell short of the Best Western Plus experience that our guests expect when staying with such a reputable national brand and we appreciate you bringing these challenges to our attention. Please accept our most sincere apology as it appears that there are several areas in which we can improve as we are always looking to learn from past experiences. Your business is important to us and we hope that the next time life brings you to this neck of the woods, we get to see you again. Take care – hope to see you soon. The hotel was clean, the staff was very friendly and helpful, and the breakfast was one of the best I have had at a hotel. Was very pleased to see there was a laundry location in the hotel. Location was less than a mile from shopping and dining. Had to wait over 10 minutes for someone to show up at the front desk. Just handed key and told to sign waiver with no explanation of pool or breakfast. Pool area had no clean towels but dirty ones all over the place. Outside doors to inside pool left open. Leaves and feathers in indoor pool and could not see the bottom of the pool in the shallow end (3 feet deep). "4th of July 2017 Best Western Stay Excellent!" I called in my reservation because I did not see what I needed on the website. I was able to reserve a room/suite with two double beds and a fold out couch in the other room. It was wonderful! I really appreciate the Military/Veteran discount. Every staff member helpful. Place was clean and breakfast had a variety of items. There was even a grab and go sack! I will stay at the Best Western in East Peoria, Illinois again when I visit my family. We needed a hotel for just one night, and this place was perfect. Clean, Friendly, and basic. It was close to shopping/restaurants and easy access to interstate. Hotel staff was friendly and professional. Easy to check in and check out. This has been one of the best hotels I have stayed in, in a long time!! We had a break down on our big rig and Ty allowed us to check in early. Ty was an exceptional receptionist and was extremely helpful. We was unable to drive anywhere and he has the shuttle bus take us to get some food while also making sure we had return transportation. The breakfast was excellent and the rooms were very nice the customer service we received from Ty was beyond excellent!!! I stay here every time I go Peoria. The hotel is fabulous. The staff were very nice. I would recommend this hotel to anyone. It is one of the nicest places to stay around Peoria. Breakfast is good even though we didn't eat this time. The staff were very kind although I had a few small mix ups. There was a lack of communication between the changing of shift that allowed the accident of issuing a copy of my key card to another guest. Also I was told that I could have a late check out and went out and came back to the maid being in the room cleaning. Once again a communication problem. The thing that made me not get upset was the overall desire of staff to apologize. I am still work through the other issue that include corporate. The place was clean and the presentation was extremely nice. I sincerely apologize for the mis-communication issues that you experienced during your stay. I assure you we strive to exceed our guest expectations and it certainly sounds like failed in that respect for you. I hope you do choose to stay with us again in the near future and if there is anything I can do please feel free to let me know. The entire Staff was very pleasant and friendly. Facility was clean and the room was very nice. The location is good. Easy access to downtown, plus the area where the Hotel is located is all new shops and eateries. I would like to personally thank you for the outstanding score we received regarding your stay. We as a staff do strive to exceed our guest expectations and it is always a pleasure to know we have done just that. We hope to see you again in the near future. By far the best customer service I have experienced in a long, long time. And, as a best western diamond select member, I do see it all. It was great on every front. I literally can not think of a single negative element to my stay. Special cudos to the gentleman at the desk who held my room and checked me in. "Lots of sink counter space"
As soon as you enter your room, you are met with a sink counter space that is quite roomy for personal care items. We like that! The toilet and shower/tub are in a separate room. The vent fan was very noisy in our room. Probably just an exception. The room was large with king bed, business desk and loveseat/pull out bed. We thought the breakfast item menu was limited for a Best Western Plus. The bed was very comfortable. Room, workers, hotel and breakfast were all very nice and will return again. We got the suite for added privacy for husband who is an early riser. We booked hotel online (not through Best Western) but Best Western was able to add in a date. Very pleasant to work with on phone and in person. Great palce. Near shopping and dining areas. Not far from the river. Staff was nice as always. Fit room is clean as always. Beds were great, fridge, microwave, nice tv size. Big bathroom area. Great all around. Best hotel stay in a while! Room was outstanding. Staff was great and very helpful. Will be staying here for many more stays. Close to all all shops and restaurants. Shuttle service was fast and efficient. Clean, quite, priced right. Accepted my discount. Room decide was nice, breakfast OK for cost. Desk staff okay but maintenance guy working hard and very attentive. Shower hot and great water pressure. Room 301 very quiet and beds reasonably comfortable. Just 2 miles or so from Civic Center and Chiefs ball field. Would definitely stay again. The location was easy to find and in a great location. There were lots of things to see and do in the area. . The staff was very professional and friendly. My room was perfect. I will stay here again. I stayed for a week for business 2 weeks in a row. First room had a small bathroom counter. Sink drained slow. Nice size fridge and microwave. This time I have a big sink area, small microwave and tiny fridge that is half way working. Nice size tv limited channels. Nice quiet little work out room. I would say family safe and so far no bed bug signs. This hotel used to be a Holiday Inn Express - our room was spacious, clean and neat. We arrived pretty late, in fact we were the last arriving reservation, the staff took very good care of us, and provided us with a little arrival bag which contained one bottle of water - only comment - and not a complaint... it should have been 2 bottles. I would recommend this hotel and would stay there the next time I am in the Peoria Area. Tabatha at the front desk was GREAT! She smiled non stop literally till 10 at night. It was refreshing. The food was great the rooms were clean. The staff here very was friendly i would recommend hotel. Tabitha is a sweet girl and we adore her and I'm glad that you liked her! I am extremely pleased that you enjoyed your stay and we hope to see you again soon! I am sorry you did not have a positive experience with our hotel. I know our staff does its best to accommodate these type of situations. I hope that the night you did stay with our property that you enjoyed it at least? This was a very roomy suite with a comfortable bed and the pressure in the shower was fabulous. I don't think I've ever had a shower with that much pressure. I didn't want to get out from under it. There was a separate sink/counter area off the bathroom that was also very roomy so I was able to spread out all our toiletries. We were very happy with the staff, the hotel, and our stay. I am so glad you enjoyed our suite. Our showers are excellent. When i first moved to Peoria, I stayed at our hotel for 3 months, and i can honestly say i was just like you. The shower is the thing i miss the most. Not so much the 2-3 am calls i would get. LOL. I am so happy we were able to offer you a positive experience at our hotel. Please come back soon! The hotel is very nice looking. The staff is very helpful and friendly. The room was large and well outfitted. The last time I stayed in a room this big was when I stayed at a suite at the Paris Hotel in Las Vegas. I am so glad you enjoyed our hotel. The suites are pretty big here, especially the two room king and double queen suites. It allows for our guest to spread out a little more and feel more at home. I know our staff will appreciate your kind words as well. They strive to make every stay a positive experience. I am so happy we were able to accomplish this for you and your family. We arrived late and did not care for the night desk clerk John. But the rest of our stay was nice. Good breakfast, comfortable room and the kids loved the covered pool. I would not hesitate to return. Thank you for your kind words. Im very sorry that our Night auditor did not make a good impression on you. We are glad though that the rest of your stay included our indoor pool was up to par. Thank you for your feedback! Very good customer service. The staff are extremly helpful, and provided tips for activities to take in during my stay. Property is close to many nice restaurants and shopping. Near downtown. Easy access. When you are on the road you miss your bed, and your shower!! These rooms are very spacious, nice and clean and the showers were amazing! Love the big TV and the bathroom sink area separate from the shower!! The breakfast was pretty standard and not too bad! The staff was great including Lanette for being so helpful when we arrived late and are reservations hadn't been confirmed!! Would definitely recommend this hotel and would stay here again!! Close to everything you need including the river front! And the free shuttle is awesome!!! Thankyou for your kind feedback. I know my team including Lanette cares for each and every guest that stays with our hotel. 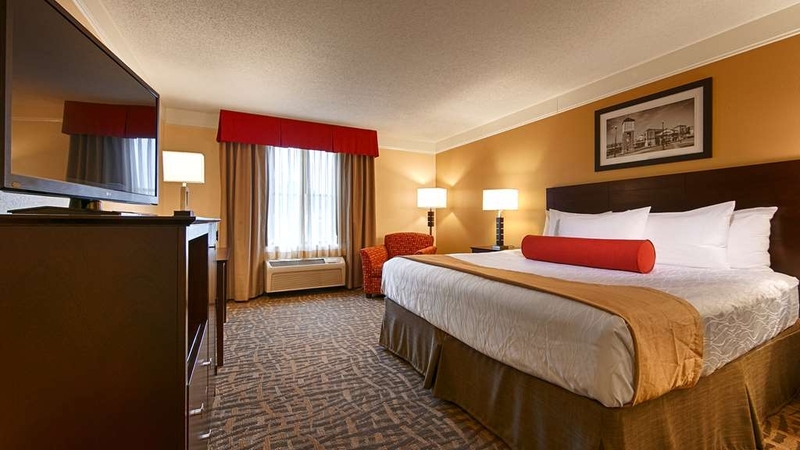 We strive to make you feel at home and comfortable while staying with our hotel. Thank you again for your wonderful review. "Nice rooms, exterior needs updating"
Rooms have been updated. Convenient location to Bradley University. BW upper levels do not get any perks at this hotel. WIFI works very good. Pool area and the general exterior needs maintenance and updating. I am very sorry that we did not provide you with the service and product you have come to expect from the Best Western Plus Brand. I appreciate your honest feedback and will use this information to direct my staff to improve in the areas you have mentioned. I am extremely sorry that you did not feel appreciated as a Best Western Rewards members. We truly cherish our loyal rewards members and if you are ever back in town please do not hesitate to let us spoil you. Thank you for your honest feedback. Best Westerns are always convenient when travelling for work. Breakfast is quick and the rooms comfortable. Pool was warm, but no hot tub. Centrally located in East Peoria with easy access to Peoria, the airport and Caterpillar. I am very happy you enjoyed your time with us. Your experience is the most important part of our hotel and we strive to make your stay comfortable and enjoyable. I am glad we were able to do this for you. Hotel was clean. Staff was friendly. Pool was nice. Breakfast was good. Room was clean. We booked this hotel thru Expedia without knowing the area. It worked out real well. My wife joked that everything we decided to do while in Peoria, was ten mins from our hotel. But with that said this Best western was a great place. They leave drinks out all day and night in the lobby as well as cookies!?? Every room has a refrigerator as well. That was real nice! we chose this Hotel by mistakenly locating the wrong ball park for our tournament. However, we were not disappointed as it was still only a 15min trip to the "right" ball park. The staff went above and beyond to be helpful. We were given late check out on Sat without hesitation in consideration of our final day of play. You won't be disappointed by selecting this facility! Very average! The room is set up very strange. No sink in the bathroom, which guarantees the spread of bacteria on the door knob, light switch, etc. Counter tops were cracked and filled in with caulk. Toilet ran constantly. Air conditioning was less than satisfactory. If you need to shower and sleep, it will do. If you are looking to relax, enjoy your space and expect quality this probably isn't the place to stay. Im very sorry for the poor experience you had at our hotel. We strive to make every guest feel like they can relax and have a good time at our hotel. It seems that we were unable to make this happen for you. Is there anything my staff could have done to make your stay with us more enjoyable? We will use your feedback to ensure that no other guest has the same issues you experienced. Real nice rooms and pool area. Staff was very friendly. Shuttle service is very nice to have and good breakfast. Would recommend it. Nice place to stay. Everything was very clean and places in the area easy to get to. Stayed with large group for ball tournament. Clean & courteous. Beds where plush. Nice indoor/outdoor pool area. Even had to go bags for early risers to take if you left before breakfast was serving. Hot breakfast ok. Auto Pancake maker was really good. Eggs...so/so the there microwaved instant. Bacon, Fried Potatoes, yogurt, bagels, toast, boiled eggs...the usual hotel foods. Conv. to shopping & several places to eat. This hotel, while very exterior and interior has some staffing issues. As a Platinum Rewards member, I used two coupons to offset the cost my stay. The two ladies checking us in were new and had no idea how to input the coupons. We checked in and had to leave to visit a cancer stricken friend. On the way out I asked that the heater be fixed as it was noisy. We returned, mentally and physically exhausted 6 1/2 hrs later (10 p.m.) the heater was not fixed and they wanted to move us. We were too exhausted. The next morning, we noticed mold in the tub. Shay, the front desk attendant tried to blame us for the mold saying if we had only moved rooms we would never have seen it. In addition, when filling a cup of coffee ALL pots had floating grounds. Shay, again, failed to correct this concern. I stayed here 2 weeks ago. This was my first time to Peoria Il & this hotel was so nice. The staff here from front desk, to breakfast crew, to housekeeping were amazing. They were all so nice & always had a smile. One thing that was great was the complimentary shuttle that could take you where ever you needed to go. I had a late flight & they even let me have a late check out. The room was over the top awesome. The beds were pillowtop & slept like a dream. (Best sleep at any hotel I have ever been too.) They provided nice shampoo, conditioner, lotion, & soap. The breakfast was great, Cheddar scrambled eggs, sausage or bacon, 3 different types of juices, pastries, bagels, etc. There was a machine that made pancakes & beside it was a condiment bar to top your pancakes: cinnamon/sugar, chocolate chips, strawberries, powdered sugar, etc. They have a beautiful pool & a nice fitness room. Their Free Wifi had a strong signal & was excellent. I will definitely stay again if I'm ever in the area. I had an excellent stay at this Best Western. The facility is lovely, well decorated and clean. The beds are comfortable with pillow-top - I slept well. The breakfast was good, probably one of the best scrambled eggs that I have had at a limited breakfast. The hotel has an indoor poor which looked inviting, but I did not have the time to use it. All of the staff were friendly and helpful. I highly recommend. Thank you for your kind words. My staff does their best to provide a positive and warm experience for all of our guests. I am very happy to hear you enjoyed our breakfast. Please come and stay with us agin some time! thanks again for your review. Thank you for your kind review. I am very happy we were able to offer you a positive experience before your procedure. I hope everything went well and that if you need to come back it will be for something positive. Thanks again for the review. Hope to see you back soon! I always enjoy going to Peoria Illinois. The staff here is awesome.They are super friendly and remember my name and are warm and caring people who seem to like their jobs. Even the Housekeeping staff are friendly and extend warm greeting in the morning. Thank you for your review and for your kind words regarding my staff. We do the best we can to offer a warm and inviting experience for all our guests. I know it means a lot to all of us that we exceeded your expectations. See you next time your in town. I would recommend this hotel to the overnight traveler or to the budget friendly travelers. Nothing extravagant for sure. Rooms are decent. Not fancy. It met my needs for an overnight stay close to business requirements. Thank you for your review. I am very happy to hear that we met your needs. We strive to exceed your expectations an I apologize that we did not accomplish this for you. I hope you that the next time you are in town we are able to get another opportunity to exceed your expectations. "Value was good but needs improvement"
Great value and nice area but Front guest check in was not very friendly at all. Also, they have multiple signs telling you how to add Netflix to your TV (especially nice when traveling with a child) but when inquired, "the few" they had were all gone. We were traveling in the middle of the week (would suggest taking down the sign when "the few" are gone then or getting more). Also room was missing an iron and the bathroom could definitely been cleaner. Even value hotels can be friendly and clean, this one just needs some tweaking in those areas. I'm very glad you felt the quality of your stay to be well worth the expense. I am sorry we did not have a Roku available for you when you requested. We have several of them but they are very popular with our crews that stay with us. I'm sure we will be able to get you one the next time you are in town. Thank you for your review. Great Facilities, great staff, clean and comfortable. Staff was helpful and friendly. I booked this hotel at the last minute as plans changed the day prior and wasn't disappointed in my choice. I was pleasantly surprised by the Suite that I had booked and enjoyed the additional room and conveniences. Workout facilities were clean and in good repair. Great Stay! Thank you for your kind review. I am glad you enjoyed our suite during your stay with us. I think having a living room and Bedroom for the price of one makes a stay feel more like home. Thanks again for your review! Excellent overall value for business trips. Rooms were clean and smelled clean! Beds were very comfortable. Room decor was contemporary and refreshing. Business center was adequately equipped to meet needs of busy professionals. Thank you for your feedback. My owner is going to be very happy to hear you enjoyed our renovations we completed. I am very happy to hear that we have met your needs as a Business traveler. We strive to meet the needs of all our guests both Business and Leisure. Thank you again for your review. "Very nice stay at Best Western PLUS, Peoria, East Peoria, Illinois"
The Best Western PLUS in East Peoria Illinois is a very nice place to stay. The rooms are very clean and well maintained. The staff is very nice and very professional. I would recommend this hotel for anyone traveling in the Peoria area. I am blessed as a Manager to have the staff we have here at the BEST WESTERN PLUS Peoria. Im glad they were able to make your stay with us a positive one. Our Brand Motto is truly important to everyone here at our hotel. "Stay With People Who Care"
We reserved our room with a block of rooms for a team tournament. When we went to check in we were told the confirmation number we were given wasn't one of theirs. I had called twice to confirm this reservation and asked for an email confirmation to be sent both times and it never was. Next we were told that our reservation was for the previous night and they already had us as checked in. The block of rooms was only for the current night so this made no sense. The room was quite pricey for what it was. Even though it's a newer hotel our room had an unpleasant smell and was only worth about half what we paid. Food and utensils at breakfast ran out quickly and were not restocked in the time we were there. When the bill came under our door in the morning we had also been charged for 2 nights instead of one. Thankfully the man at the front desk was able to adjust that after another lengthy wait. We have stayed at some nice best western plus hotels in the past but this was not one of them. I wanted to thank you personally for filling out our guest survey and for your feedback. I am sorry that you did not find everything to your satisfaction. It is my goal to exceed our customer's expectation and it seems we did not meet yours. I looked into your concern and please be assured that the issues you mentioned will be taken care. Hotel was small but nice enough. Rooms were clean and decent sized with ok beds, a mini fridge and microwave. Breakfast was just ok too - no waffle maker and the pancake maker was broken, but everything else was fine. Always stay at this hotel in the greater Peoria area. John, the GM, and his staff are always welcoming and make the stay an easy decision to make. It's location is central to my needs in the Peoria area and is easy to get in and out of. The lobby is very nice and during the winter months, the roaring fireplace is a welcome sight. Great room, very spacious, clean room, clean hotel, breakfast was great, if I'm in Peoria again, I will stop again!for the price, you cannot compare, I'm Best Western person, and I love Trip Advisor! I will highly recommend, Trip Advisor, and Best Western to all my friends and family. I would like to take this opportunity to thank you for taking the time to give us your feedback. We were thrilled to see the ratings we received from you in regards to your recent stay. If I or any member of my staff can be of any assistance for any future stays in East Peoria, please feel free to call or e-mail our hotel, we look forward to being of service again. This is one of the finest hotel property in Central Illinois Annually I come to Peoria for the Illinois State high school basketball tournament and have stayed at this property for nearly ten years, Its the only hotel I would consider stay at when I'm in Peoria. The reason for my choice..... is the friendly staff that treats me like...... Family. "1900 hrs loal march 16 2016"
A shining Star in the Hotel business!! The hotel staff made every effort to make sure the guest felt like home and the room was very clean and well maintained. There is very much a good cooperative system here between management and employees as both made sure the guest was NO. 1 and comofrtable in every way. Kudo's to this hotel and I will return. Many Thanks!!! We wanted to thank you for taking the time to give us your feedback. It is our goal to exceed our customers expectation and we appreciate that you took the time out of your busy schedule to give us the feedback. This hotel was above and beyond what I expected. Very clean rooms and very friendly staff. Wonderful place to stay for the short time we were there. Very good breakfast, in and out easy to the main highway. One and half mile from the Riverboat. We will definently come back. This hotel is very nice. The staff was very friendly. We were able to check in an hour early and when we got to our room the cleaning person asked if we needed anything else. The room was clean and was very big. I loved the counter space right when you walked into the door. It was big enough for 2 people to get ready at the same time and have enough room. The breakfast was good. It was your typical hotel breakfast. The one unique thing was they had a make your own pancake machine instead of the make your own waffle machine. My only 2 complaints were the shower did not get very hot and the hotel shuttle does not work if you are going to see a concert. We stayed here because we were going to a concert and the civic center and when we asked about the shuttle the front desk lady said they could get us there but they had to pick up flight crew from the airport and they were not sure they would be able to pick us up from the civic center. They also said the shuttle stopped running at 11pm and if the concert got over later than that then we would have to take a cab. We then asked how much parking was at the civic center and the lady said it could be anywhere from 10-20 dollars. We thought that parking was very affordable since parking in Chicago is 35 dollars so we decided to drive and parking only cost 5 dollars. So overall having to drive was not a big deal. Great value, comfortable room, excellent location, friendly and professional staff, quality breakfast, clean modern facility; pool and fitness room is compact but very accommodating. We have stayed before and will definitely stay again when in Peoria. "Great, kid friendly hotel near everything." We have stayed in this hotel several times and it is definitely a great, kid friendly hotel. The rooms have always been very clean as well as the entry area and breakfast room. The staff is always very pleasant. This hotel is located near EVERYTHING (IHOP, Target, Costco, Ulta, Aldi, restaurants galor) If you are a hockey fan, the Peoria Rivermen where playing and the Louisiana Icegators stayed at this hotel which was fun for the kids. Overall, friendly and clean. Best Western Plus in East Peoria is my go to hotel when in town! The general manager and his team are all very pleasant and helpful while I am in town. There was a roaring fire in the fireplace when you walk into the lobby and with it 10 degrees outside and dropping with a negative wind chill, the heat was very welcomed. Very friendly, helpful staff, wonderful kitchenette, clean rooms, comfortable beds, great breakfast, kid friendly, and wonderful pool. Me and my kids had a great time at this hotel and would definitely stay again! Very good hotel for the value paid. Friendly staff and very clean property. Quiet location, but close enough to restaurants, shopping, and attractions. Breakfast was hot with a good variety for selection. These rooms are the traditional hotel room layout. They are nicely appointed & very clean. Easy access to I-74, tho I always find it a little confusing to get to restaurants in the immediate area. The Continental Brfst was average. Staff was friendly. "Would stay again for sure!" Stayed here,close to the OSF Hospital.Staff was very accommodating.The breakfast was great in the morning. ALWAYS, someone restocking it also (nice). The rooms were nice and the beds were great. The only reason I didn't give a total 5 is there was no hot tub. This is my go to hotel for the Peoria area when I go there for business. Close to the work I need to do and great staff, it's a no-brainer for me to choose them. There's always a friendly smile at the front desk and their GM is very engaged in your quality experience. The shuttle service is nice to have at my disposal should I need them. And there's some good restaurants within a few minutes' drive. I never even consider using another hotel and have been recommending this one to my peers that travel to Peoria. Staff was exceptional. Decor is high end. Rooms are updated and comfortable. Would stay again, for sure. Make sure you register for your value points before your next stay. Pool is very clean and convenient. I wanted to take this opportunity to thank you for responding to our guest survey. We as a staff strive to exceed our guest expectations and it is such a pleasure to know we have done just that. We hope to be of service to you again in the near future. "Friendly Staff and Great Value"
The decor is nice, rooms were clean, staff was very nice. The breakfast was ok but I typically like to eat healthier. They presented it very nicely though. The lobby fireplace was cozy and the children enjoyed sitting in the nice chairs there. It was nice they extended a military discount to me due to being in town to handle a veteran's funeral. It was a sad time and they made is nicer for us at this hotel. I wanted to take this opportunity to thank you for responding to our guest survey, as well as the very nice feedback we received regarding your recent stay. I do apologize for the breakfast not being as healthy as you would have liked it. We are in the process of seeing what options we have to add more healthy items to our breakfast selection. We hope to be of service to you again in the near future. This hotel is remarkably clean and comfortable. It's in an obscure location, right in the heart of things, but the entrance way is a little goofy. Not difficult to navigate, though and out of harms way for traffic. I would like to take this opportunity to thank you for responding to our guest survey as well as the ratings and feedback we received regarding your recent stay. We as a staff strive to exceed our guest expectations and it is such a pleasure to know we have done just that. As a valued guest we hope to be of service to you again in the near future. "Best Western Plus, East Peoria IL"
One of the best hotels I have stayed in. Clean, Quiet, excellent breakfast and wonderful staff. Truly a great hotel. I have worked and stayed in New York and Los Angeles for 6 months at a time and East Peoria is a little slice of heaven. Thank you to John and his staff. Keep up the great customer service.. I would like to take this opportunity to thank you for responding to our guest survey as well as the ratings and feedback we received regarding your recent stay. We as a staff strive to exceed our guest expectations and it is such a pleasure to know we have done just that. As a valued guest we love and appreciate the opinion you have of our hotel. I believe a "little slice of heaven" should be our new staff moto. The desk staff are very pleasant and want to make sure you enjoy your stay. The rooms are very nice! The breakfast was enjoyable. The hotel was very clean. The only down fall was that housekeeping seemed to be in a rush to clean the rooms before people had checked out. I will consider returning! I would like to take this opportunity to thank you for responding to our guest survey as well as the ratings and feedback we received regarding your recent stay. We as a staff strive to exceed our guest expectations and it is such a pleasure to know we have done just that. As a valued guest we hope to be of service to you again in the near future. In regards to my housekeeping staff I will bring this to the attention of my head housekeeper. I do apologize I can assure you this is not the way we typically take care of our departing rooms. This issue will be addressed and taken care of. Great breakfast, very clean, comfortable bed, and friendly staff!! The lobby was nice. The breakfast area was very clean and there was plenty of tables. My only complaint was that the snack area was kind of lacking but there are plenty of stores and fast food places around that are easy to get to. I would like to personally thank you for responding to our guest survey as well as the very nice feedback we received during your stay. We as a staff strive to exceed our guest expectations and I assure you it is such a pleasure to know we have done just that. We hope to be of service to you again in the near future. "Best bet in central Illinois"
Couldn't ask for more thoughful hotel staff who went above and beyond to make my stay comfortable. This is my go-to hotel now for trips back home--won't stay anywhere else. Location (Levee District) is perfect for business in Peoria, E Peoria or Pekin. I wanted to take this opportunity to thank you for responding to our guest survey, as well as the very nice feedback we received regarding your recent stay. We as a staff strive to exceed our guest expectations and it is such a pleasure to know we have done just that. We hope to see you again in the near future. The hotel was a good find. Our baseball team was in town for State playoffs and stayed here. The hotel was clean with an extremely friendly staff. My only complaint was that the breakfast was a bit disappointing. I wanted to take this opportunity to thank you for responding to our survey. I'm so pleased to hear that you and your team had such a pleasant stay. I however would like to apologize for breakfast being a disappointment. I assure you that problem has been taken care of. I recently stayed one night at this hotel because I was in town for a business conference. The front desk staff was very nice, very accommodating. She went above and beyond to meet my room request and I'm extremely picky. The room was very clean, quiet and the bed was the most comfortable I have ever slept in. In fact, I'm hoping to buy the exact model for my home! The room was also very spacious, wifi very speedy and water pressure in the shower was awesome. I didn't have time to enjoy the included breakfast but it smelled delicious upon my check out. I wouldn't hesitate to stay here again. I wanted to thank you for responding to our guest survey as well as the very nice feedback we received regarding your recent stay. We as a staff strive to exceed our guest expectations and always will. We hope to see you again in the near future. I travel frequently for work and was a little hesitant when I booked my reservation, but the staff won me over. Great customer service, decent breakfast and nice rooms. I'll be sure to keep Best Western in mind next time I book. I wanted to personally thank you for the ratings and the very nice feedback we received regarding your recent stay. We as a staff strive to exceed our guest expectations. It is always a pleasre to know we have done just that. We hope to see you again in the near future. I drove 11 hours from north Carolina to attend the funeral of my best friend's father. I booked for 2 nights but learned the day I checked in that I didn't need to stay the 2nd night. I talked to the front desk clerk that day who told me I had to call the AAA customer service since I booked thru that website. I talked to both the hotel and AAA customer service several times and was finally told the hotel would not refund the 2nd night. I left the hotel anyway since I had the 11 hour drive back home. I am very disappointed and now very broke. On behalf of our entire staff I would like to give my condolences for the reason you were in town. I would also like to apologize for the issue you had during your stay. I have brought this to the attention of the appropriate staff member. Once again my apology's. Don't let the location fool you, being next to the interstate. It was completely quiet. You have to enter through an industrial area, which could be off-putting to some, but it is well worth the stay. our room was very clean. All the staff was very friendly. We will stay here again for sure.